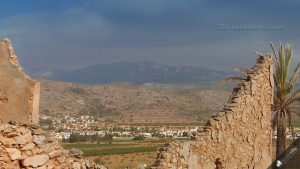 As well as the two main Spanish villages, Frailes and Nieves, the Hondón Valley has a delightful, well-kept Urbanisation called “La Montañosa”. It is about 14 years old and still under some minor development. Built on old farm land (grapes and almonds) the Urb is populated in the main by northern Europeans, many are retired, looking for their place in the sun. 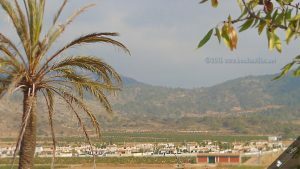 La Montanosa is surrounded by mountain views, great roads, abundant farm produce and the peace and quiet we all love. Hondon Valley really is a “chill-out” place to be. You can unwind and de-stress under the blues skies and wonderful vistas. 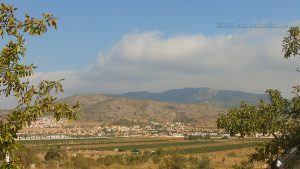 This tranquil urban area is about equal distance between the two Hondón villages. Whilst the Urb. 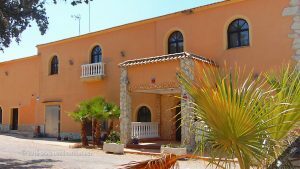 has few facilities/shops itself, the close proximity to these charming Spanish villages affords it all the normal day-to-day amenities you might need a 5 minute drive away. There are plenty of shops, mini-markets, butchers, hair-dressers, a gym, pharmacies, bars, restaurants, electric goods, banks, clothes shops, barbers, Chinese mercado, bakers, fruit & veg’ stalls and so much more. There are also local schools, post office, gift shops, doctors and medical centres, opticians and tabacs. On the trades-people front there are electricians, mechanics, filling stations, iron mongers (DIY), plumbers, tilers, builders and supplies, gardeners, nurseries, lawyers, real estate and computer repairs. So the Hondón area is pretty much self sufficient for such a rural location. Being a wine growing region Hondon has a few well stocked bodegas (wine from just 1 Euro a litre!). 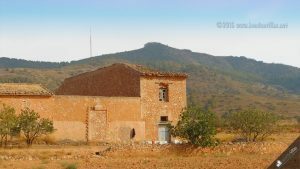 You’ll find Bodegas Cerda an fine example of a modern v. traditional building… it is beautiful inside and out and well worth a visit. 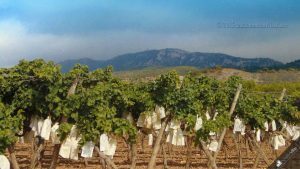 You can wine-taste there, buy and learn about local wines and take in some Spanish tapas. The gift shop area is excellent. And it is a museum to the Cerda family history in wine-making since 1885. 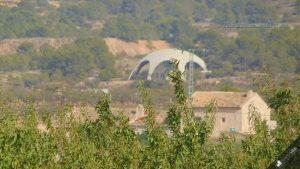 But you will not find your luxury goods and brands here, as Hondon is a rural functional area.. and that’s its charm “the real Spain”. However, the good news is that the beautiful palmed city of Elche (15/20 minutes drive) and Alicante (25/30 minutes) have all the brands, chains and shops you could ever need. The Al’Jub centre in Elche is a typical international style mall, plenty of free parking with a food court and high street favourites like Zara, Primark, Phone House, H&M, Macdonals, KFC, Springfield, a Cinema, Desigual, Jack Jones and more. Elche itself has a historical and cultural importance and well worth a few hours of your time. Visit Elche. Into the Muricia region (40 minutes) there are state-of-the-art malls and precincts grouped together as the Nueva Condomina with global brands and designer goods like IKEA, Primark, Benetton, C & A, Pull and Bear as well as cinemas, entertainment sectors and food courts. It’s ENORMOUS! The centre piece of La Montanosa Urb. is the beautifully restored “La Finca” restaurant and hotel. This caters for both the locals and visitors to the area. It is often a seasonal opening with music, BBQs, special events and menus as well as private functions. Beyond the Urb. the villages nearby are well served with a variety of bars, restaurants and fast food. Often they will host community events and clubs such as dance, keep-fit, lessons and musical performances. 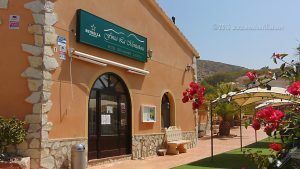 Both Frailes and Nieves have newly built Cultural Centres and plenty of all-year-round fiestas. Locally, most people gravitate to bar 28, La Buena Vida, Bar Central, La Font, Vamboo and El Fogon. 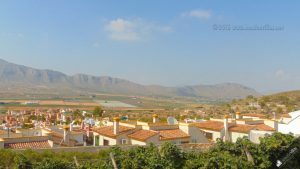 Beyond the villages, try El Fielato (Barinas), Campico Magico (Elda), Roca (Aspe), El Portal (Alicante) .. but there are 100’s within 25 minutes drive. Our best advise is to check Trip Adisor for reviews and recommendations. The majority of the 400 new houses are good sized plots with luxury detached villas of various sizes and design. 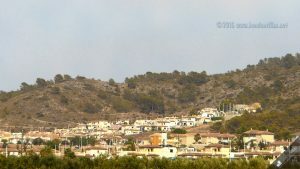 The main nationalities living on La Montanosa are British, Dutch, French and Belgian. As such there is a buoyant resale property market. There are still a few plots available if you desire a new build and personalised designed villa. 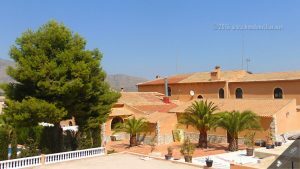 The main local agent for the area is Hondon Villas (based in Frailes). They can help you with buying or selling your Hondon property needs. They also have a good selection of La Montanosa Villas for sale. Contact Hondon Villas for all your real estate needs in the Hondon Valley and nearby areas.